This great starter set is the perfect introduction to the world of LEGO DUPLO. The assortment of cute cat-and-dog-theme bricks offer instant familiarity and immerse young minds in a world of creative building fun. 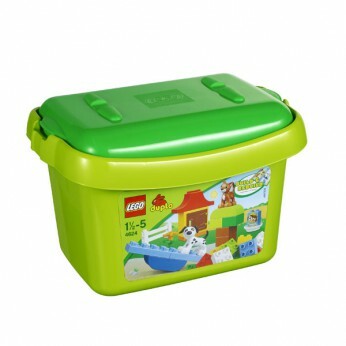 Comes in a sturdy LEGO brick storage box and includes an inspirational idea booklet…. This toy costs approximately £12.99 (for the latest and best prices make sure you check our retailer list for the LEGO Duplo Brick Box 4624 above). In our review of LEGO Duplo Brick Box 4624 we classed it as being suitable for ages 6 years, 7 years, 8 years, 9 years, over 10 years but recommend you check the manufacturer specific advice before purchasing.